Author of the novels The White Castle and The Museum of Innocence, as well as the recipient of the 2006 Nobel Prize in Literature, Pamuk has become not only a representative of Turkish literature, but his various works in non-fiction and journalism have made him a voice and advocate for freedom of speech and expression within the global community. 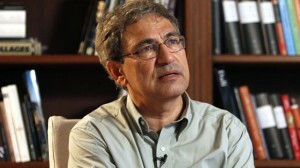 In his interview, Pamuk described a rising climate of fear within the Turkish journalist community brought upon by an increase in harassment by the Turkish government itself. Turkey has often been criticized for clamping down on journalists and sentencing them to long prison terms. Media freedom advocacy groups have on numerous occasions described the country as the world’s largest prison for journalists. Such a climate undoubtedly leaves the state of Turkey’s freedom of speech and journalistic expression in a precarious position. However, with continued efforts by individuals like Pamuk to address these issues with Turkish citizens and the global community, dialogues can be opened and shared in attempt to shed light and rectify this and other issues.